Travelling with children can be just a little stressful and with two under two we make sure everything is well planned out if we are going anywhere further than the next town. 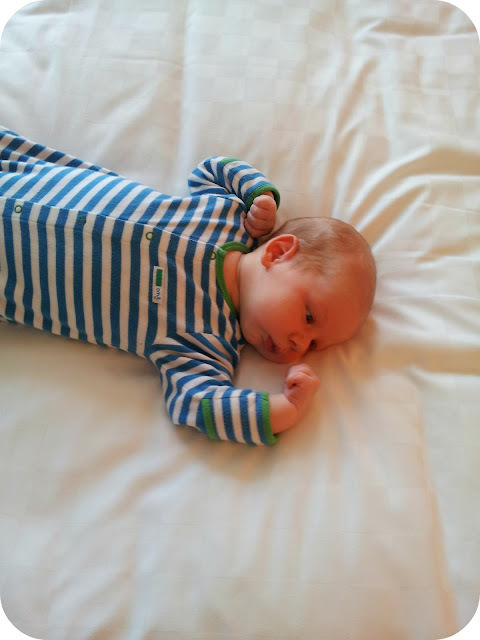 We recently got the chance to review the luxury London hotel, - The Cavendish and I was very apprehensive about taking the two littles into central London and interested to see how the hotel coped with our crazy little family. We arrived into London by train and armed with the double pushchair took a stroll to the hotel. It is situated in a gorgeous area and right opposite Fortnum and Masons (which I had somehow never heard of before!) On entering the lobby we were greeted with friendly smiles and warm welcomes and met by the manager. 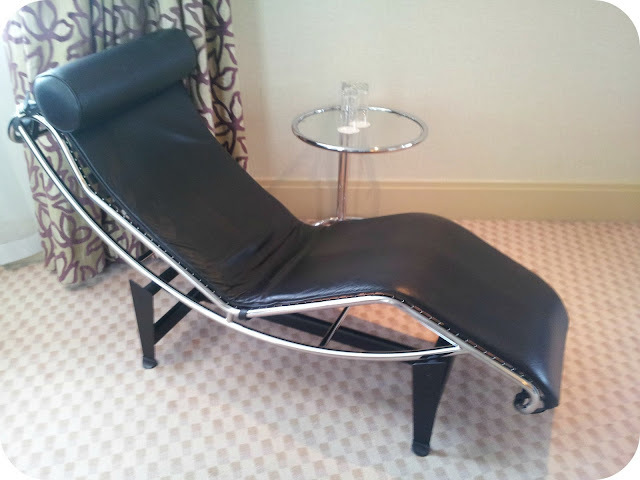 We had been given the Junior Suite on the top floor (15th), however the lift only went as far as the 14th floor so the staff offered to bring the pushchair up to our room or store it downstairs for us. We chose the latter option and they had it ready within seconds every time we wanted to leave the hotel. The panoramic view from the top floor was stunning and it was wonderful to point out so many iconic places to Dylan. On entering the room all other sounds were drowned out by Dylan's loud cries of 'WOWEE' as he took in the huge bed, the sofas, the large flat screen TV, the amazing black recliner, the Nespresso machine and the colouring packs left out for him. The friendly housekeeping staff arranged the two cots for us and left us with hooded towels and soft white bibs for the boys, to match the luxury dressing gowns and slippers that were laid out for us. I was really appreciative of these extra touches as bibs and baby towels were top of the list of things that I had forgotten to pack! Dylan needed some quiet time and had a cuddle on the sofa watching cbeebies whilst we explored the room. Archie seemed very impressed with a life of luxury and made himself quite at home on the soft sheets. As it approached late afternoon we made the most of the room service and rang for the complimentary warm milk and cookies for Dylan. This was yet another way that they proved to be well prepared for toddlers although the drink did come served in a cup and saucer which wasn't all that practical for a 20 month old. Luckily the little man's cup did make it into the bags. Eating out with the boys is not always the most relaxing experience and I was dreading a full blown tantrum in the middle of a nice restaurant. When we arrived at dinner we were shown to a lovely corner table, meaning that we wouldn't be disrupting anyone and there was plenty of space for Archie in his carrycot without worrying that he would be tripped over. It also gave me privacy for breastfeeding and Dylan had a window to look out of. The staff sorted out a booster seat for Dylan and provided him with toddler cutlery. I absolutely loved this touch and have to admit that this is the first time that he has ever been catered for in this way (despite us eating at many family friendly restaurants . This meant that he ate his dinner nicely rather than getting fed up and digging in with his hands. 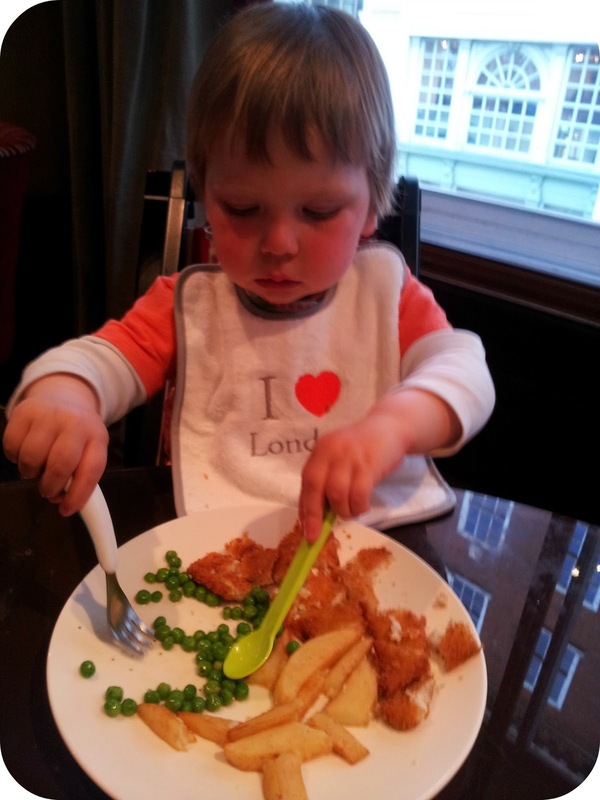 Dylan's meal came out with our starter and his breaded plaice, chips and peas looked and tasted delicious. It was lovely to see child friendly options that they love and recognise, but locally sourced and properly cooked. Our meals were beautifully presented and exquisite and (thanks to Dylan devouring his meal so well) not shared! The chicken roulade was one of the best meals I have ever eaten and we returned to our room feeling well fed and very impressed on how relaxed our meal was. The little things can make such a big difference and the way the staff included and catered for Dylan ensured everyone enjoyed the experience. After bath time, we put the boys to bed in their cots and they both went to sleep quite fast. The benefit of the junior suite is that they could snooze in darkness at one end of the room, whilst the bloke and I stayed up with the lights on at the other end and didn't disrupt them. 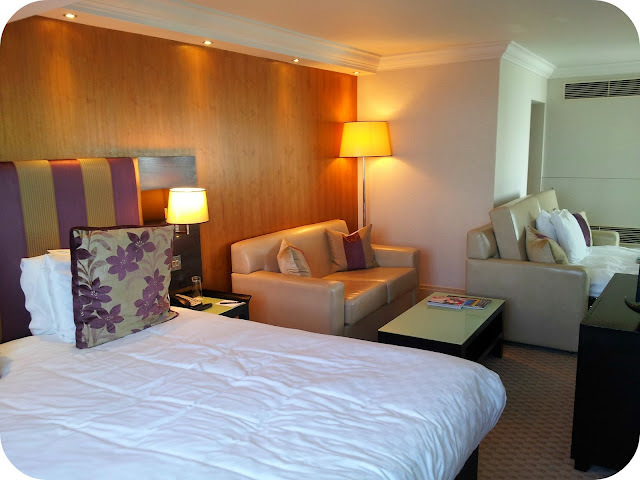 I would certainly recommend upgrading to this suite if it is an option as we have been trapped in a dark room playing cards by the light of our mobile phones far too many times! I enjoyed a lovely hot bubble bath whilst the bloke had a shower and we had a lovely evening without distractions together. Getting up in the morning was my least favourite part of the hotel stay as I could have slept in that bed forever, it was so comfortable. Breakfast was quite possibly the highlight of my visit and I enjoyed a smoked salmon and scrambled egg muffin freshly made and delivered to my table alongside the full English, pastries, continental meats and cheese, fresh fruit, yoghurts and selection of juices. Dylan looked rather confused as to why he was being served dinner first thing in the morning but didn't hold back when I provided him with a bowl of fresh strawberries, raspberries, pineapple and melon. Check out was a painless process and the staff again talked to Dylan and helped us with bags and the buggy. I cannot praise the hotel enough for how welcome they made us and how accomodating they were for the two littlest members of the party. The little touches made such a huge difference and I would highly recommend the Cavendish to anyone travelling to London with small children as they really did make the whole experience so much less stressful than I anticipated! I need this chair in my life! Disclaimer: Our stay at the hotel was complimentary for the purpose of this review, as was our dinner and breakfast. All thoughts and opinions are completely my own. Wow, looks fantastic. Love how the supplied toddler cutlery. Nice touch. Fantastic photos. 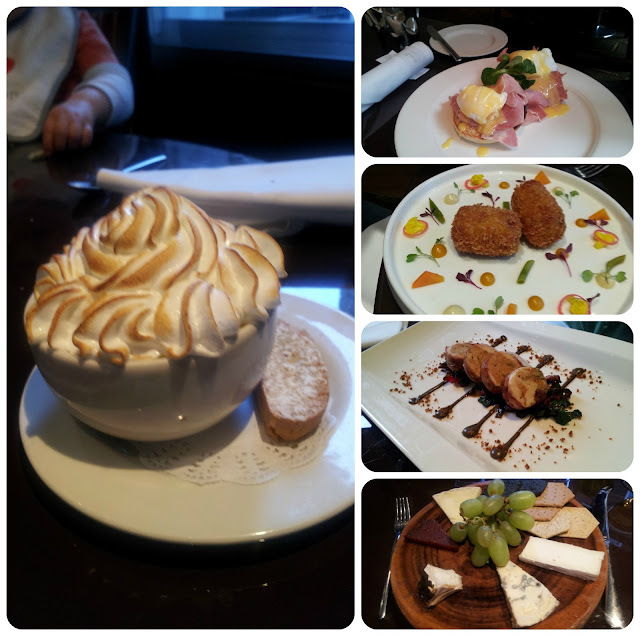 I loved the breakfast at cavendish hotel, one of the best I have eaten. Great hotel.